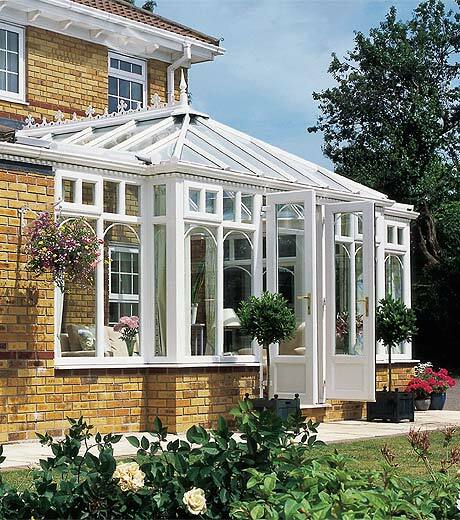 In addition to our replacement products, New Leaf Windows and Doors are now able to supply and install conservatories of very high quality. The frames and roof timbers are made from grade A sapele hardwood, and the buildings are designed and tested to BS6375 part 1 (for permeability, water proofing and wind resistance) and BS6375 part 2 (for operation and strength). 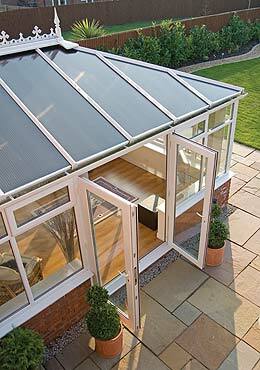 Functional, practical, robust and beautiful, our conservatories are made to last. An extensive choice of colours is available and finishes are factory spray coated using high durability Teknos finishes. The construction has some unusual and beneficial features, including a separate continuous sub-cill with all the joints hand rail bolted, and a locating groove, making installation simpler. 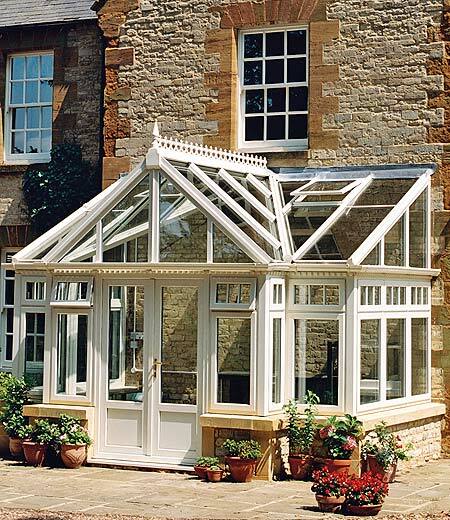 Naturally, all conservatories are hand crafted to your requirements and designs, and an almost limited range of sizes and shapes is possible.